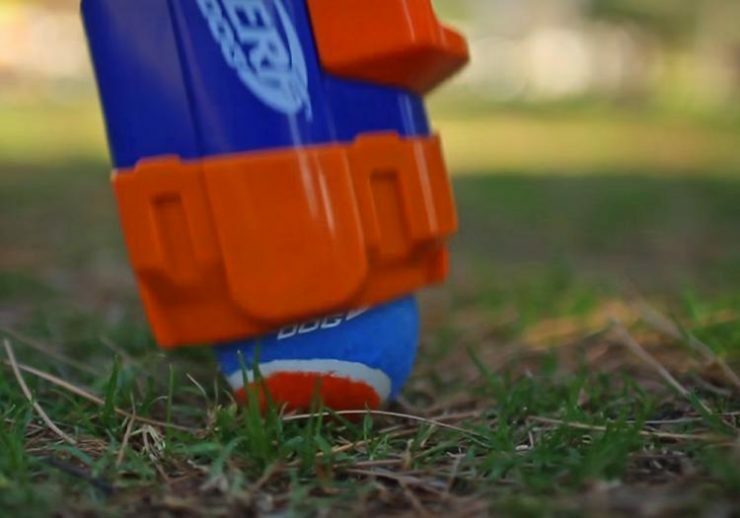 Nerf Powered Tennis Ball Launces Makes Playing With Your Dog Even Easier | OhGizmo! Playing with dogs is great. You throw the ball, they run after it, and sometimes they even bring it back, it’s a lot of fun. 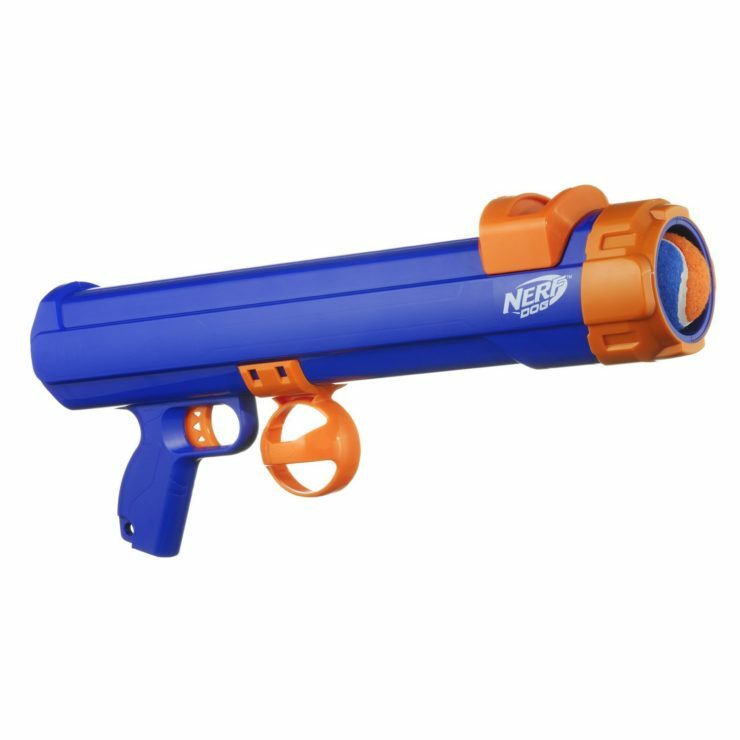 But what if you could make it even more fun with a Nerf blaster that shoots tennis balls? It’s even hands-free pickup so you don’t have bend over and grab the ball everytime, just press the end of the gun against the ball on the ground and it’s loaded. Dog lovers are going to love this toy. It’s available now for $23 and comes with 4 tennis balls.